The future according to TripAdvisor? Mobile, social…and hopefully fewer ‘red flags’ for hotels. March 10, 2000. This may not jump out at you as a noteworthy date in history, but that was the day the Internet’s so-called ‘dotcom bubble’ peaked, leading to the death of the digital dream for many young startups in Silicon Valley and beyond. 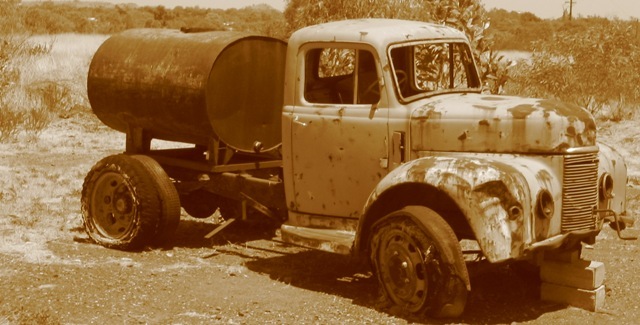 However, whilst the vast majority of the fledgling tech companies crashed and burned, there were some notable success stories to emerge from that whole period – Google, Amazon and eBay to name but a few. But there is another name that probably won’t immediately spring to mind. Founded a whole calendar month before the original dotcom bubble officially burst, TripAdvisor didn’t choose the best time to launch an online travel website, on paper at least. But it emerged unscathed and is flourishing today despite the wave of new young startups trying to muscle their way in on the action. In 2011, TripAdvisor raked in $637.06m in revenues, and with 50m unique monthly visitors, 20m members and more than 60m reviews and ‘opinions’ hosted on its site, it’s clearly not being usurped by some young upstart any time soon. Of course, TripAdvisor has also been drawn into a number of controversies of late, relating to the influence it holds over paying customers looking for somewhere to stay. According to some stories, it’s easy for both customers and hoteliers to leverage this ‘influence’ to get one up on the system. With that in mind, The Next Web caught up with Adam Medros, VP of global product at TripAdivsor, to discuss Facebook, Twitter, mobile…and try and get to the bottom of some of these criticisms. TripAdvisor has been enjoying a rather cosy relationship with Facebook for the past couple of years. You may remember it launched Instant Personalization in partnership with the social networking behemoth back in December 2010. It arrived in the US first, followed by the UK several months later. If you’re not aware of this feature, here’s how it works. If you visit TripAdvisor’s website while logged into Facebook on your computer, the site will act like your personalized travel planner, complete with friends’ reviews, a map showing places friends have visited, and a list of their most popular destinations. It sounds great, but it hasn’t been without its critics. “There are eight partners worldwide that have access to Instant Personalization, and we’re the only travel site,” says Adam. The others, if you’re interested, are Bing, Pandora, Yelp, Clicker, Rotten Tomatoes, Scribd and Docs.com. But the issue, for many, is that it’s an opt-out initiative rather than opt-in, meaning that if you’ve never bothered to disable the feature in your Facebook privacy settings, as soon as you hit the website in question, it automatically connects with your Facebook account. But according to Adam, the opt-out rate is tiny. “It’s fractions of a percentage point,” says Adam. “Most people see utility in it,” he continues. Indeed, since launch, 89m people have been ‘instantly personalized’ globally. It’s perhaps safe to assume that this will be almost everyone who has a Facebook account they keep logged-in whilst browsing other sites…such as TripAdvisor. Then in January this year, TripAdvisor launched its part of what Facebook announced at F8, which was open graph and custom actions. So now when you use Cities I visited on Facebook, when you pin a city or rate something inside that app, it will publish it to your timeline, and you can share it in your News Feeds, depending on the permissions you give it. Whilst Facebook is clearly a major partner for TripAdvisor, are Twitter or other social networks on its radar for deeper integration? “We’ve certainly looked at that,” says Adam, “And all the other social networks. We’d consider doing it, but the main thing we want to figure out is what are we getting from it? And how do we make it a better experience for our users? We’ve done a little testing, and users are a little more reticent about pressing a button and sharing it out to their Twitter network and followers. The same, of course, applies to the likes of Google+ which is still finding its feet as a social network. “When it’s big enough, and makes a dent, then yeah, but right now, Facebook is really the only platform that has meaningful scale and provides a graph that could be of real use,” adds Adam. Whilst we’d love to have focused on the positive things emanating from TripAdvisor Towers, there’s no getting away from all that negative stuf that have hit the headlines over the past year. You know, the fake reviews and false advertising stuff. Last September, we ran a report on an English country hotel that claimed it was facing ruin after TripAdvisor ‘red-flagged’ it over supposed fake (positive) reviews left on the site. The problem was this. TripAdvisor scans reviews to check if it matches a hotel’s IP addresses, to try to curb ‘in-house’ reviews. But the hotel owner, Deborah Sinclair, claimed that the review was written by a customer using the hotel’s WiFi. Quite the dilemma, it would seem, but Adam is adamant that it doesn’t dish out red flags like confetti, and there was much more to this case. 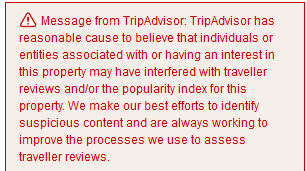 Indeed, the integrity of the content for all intents and purposes is TripAdvisor’s product. Without that, the whole business goes up in smoke, so it is in their interest to ensure that reviews aren’t being rigged, though it’s difficult not to think that sometimes it just may get its conclusions wrong, which could have disastrous effects for those accused. Hoteliers may not even know that they have staff trying to boost the hotel’s fortunes, with the best possible intentions. Some hotel-owners have also complained that customers have threatened to leave negative reviews on TripAdvisor if they didn’t receive discounts or other forms of preferential treatment. Or conversely, it could be the case that hoteliers offer incentives to guests to leave a positive review. However you view this, this is consistent for all online review sites. Even factoring in difficult customers, the idea is, I guess, that if the hotel does offer genuinely good service, the positive noise will almost always drown out the negative noise. Back in September, it was reported that the UK’s Advertising Standards Authority (ASA) was investigating TripAdvisor, following a complaint it received from a company called KwikChex. It argued that claims on the website such as ‘reviews you can trust’, ‘read reviews from real travellers’, ‘TripAdvisor offers trusted advice from real travellers’, among others, are misleading and can’t be backed up. Being a website about travel, TripAdvisor and mobile pretty much go hand-in-hand. They’re a good fit. TripAdvisor reached 13 million total downloads of mobile apps, and 16 million unique visitors per month via mobile devices, as of December 31, 2011. During Mobile World Congress in Barcelona, TripAdvisor announced that the TripAdvisor app was downloaded an average of 25 times per minute in January, and had surpassed 15 million total downloads across all platforms and devices in 20 languages. TripAdvisor also launched 20 free city guides for Android and iOS over October and November last year, offering access to traveler reviews on hotels,restaurants and attractions, as well as suggested itineraries and offline-accessible interactive walking tours. So…HTML 5 underneath a native app? This seemed like a good time to ask Adam what he thinks the future looks like for apps, native or HTML 5? With mobile beginning to underpin much of TripAdvisor’s development, how can it take on more context-aware smart recommendation technologies that are starting to emerge? The ‘Near me Now’ feature is built into its mobile apps, and taps TripAdvisor ratings to pick the best of what’s nearby, as they’re, say, driving along a motorway. Looking further ahead, Adam tells us that TripAdvisor is building out a more robust API and make it available to more developers, in addition to the partner developers it already has today. Its current API is for licensed partners only and is not publicly accessible. “We’re going to update that API to be a little more modern and standards-compliant, and hopefully make that available to more people and see what they build,” he says. Whilst this example wasn’t anywhere near “ready for prime time”, as Adam put it, it’s an example of a feature that could be built inside of a TripAdvisor app. Or maybe even as a standalone TripAdvisor-branded app? Time will tell.